Hormones, blood, oxygen, or anything that needs to be carried throughout your body to service your cells. Those things are transported on a system of fractal branching networks. Place blood in close proximity to the air you inhale. Bronchial Tree is the airways from oxygen to come in. Photosynthesized food to rest of plant. 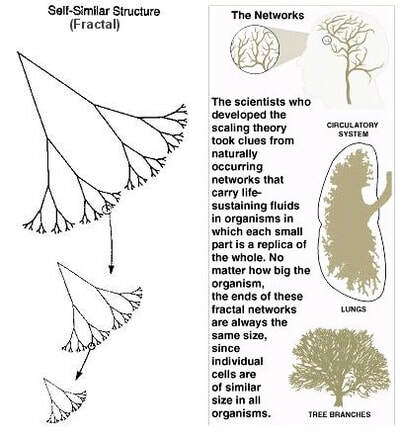 Why has evolution favored Fractal Branching Networks. Plumbing system is the best way. 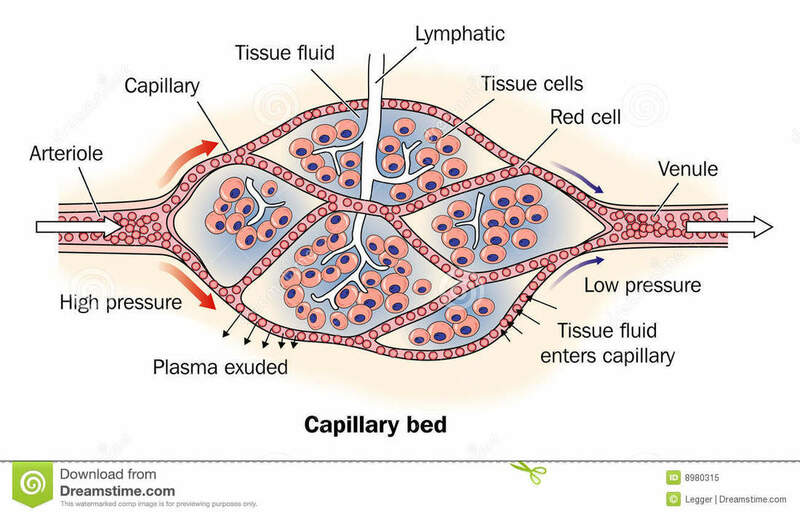 2) Fractal Structure creates an enormous amount of surface area in a confined space, crucial for processes like gas exchange in lungs or absorption of food in intestines. 1) Why do we live 80 years? Why 10's of years? Why does a mouse live a year or two... Same genes and cells at molecular level. 1997 - Geoffrey West - Particle Physicist. How many calories each day? 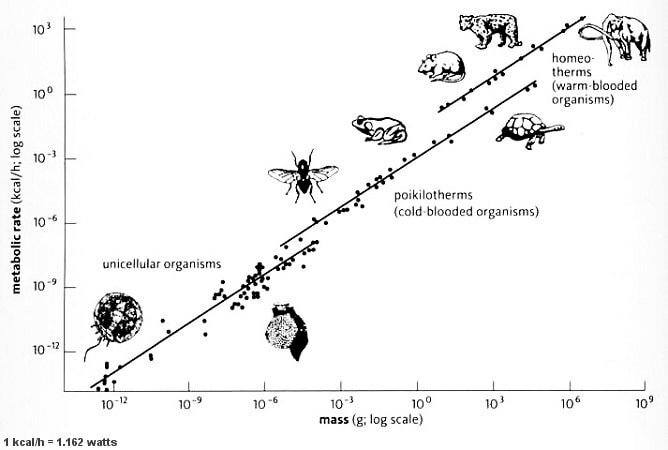 Metabolic rates fall neatly on a curve when they are graphed as a function of the body mass of the animal. Shrew eats its body weight a day. Why three quarters not 2/3. 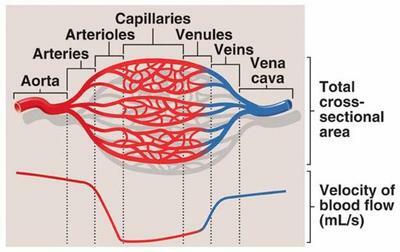 Any animal from a mouse to us, can expect to live the same number of heartbeats. We all live about 1.5 billion heartbeats. Every point in 3D and has to be space filling. Network had to have a self-similar, branching and fractal structure. Terminal units... Cappilaries same size for all mammals. List of 20 or 30 scaling laws. Networks inside the cells... Cytoskeleton, or chemical network. There is a network in the cell, then another network in the mitochondria. Respiratoty enzymes are end of the line in the mitochondria. 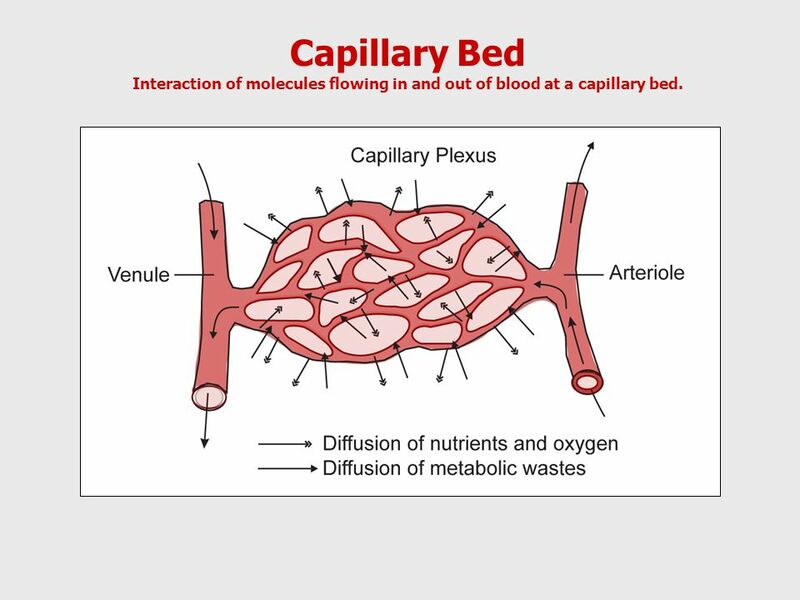 Pulsitile flow impossible smaller than a shrew... oozing or steady flow. 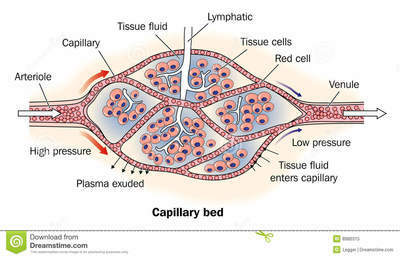 Cells taken from animal in culture... SAME metabolic rate in vitro. 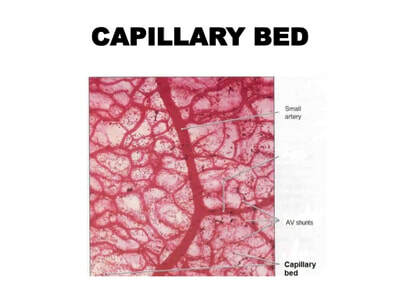 But inside big animals there is less capillary flow per cell, in elephant, so metabolic rate has to slow down. In culture not applicable, because no network in culture, every cell getting nutrients. 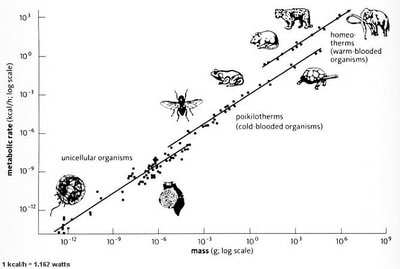 Optimality assumption... Natural Selection does not need to be optimal. What is the math behind it. What does it mean? Analogous to logistic map... He had the idea to study iterated maps on a plane instead of a line. Complex numbers... A complex of two things stuck together... real and imaginery welded together. Instead of a number on a number, it is a generalization to a plane. Very natural in higher math, electricity, magnetism, waves, oscillators, quantum mechanics. Mandelbrot Sets encodes information about complex-number maps, much like the orbit diagram did for the logistic map. Orbit diagram is like a family portrait of logistic map showing what would happen if we changed a parameter in it... LIKE TURNING A KNOB, only adjusting a parameter. Sequence of complex numbers hopping around complex plane. Is it bounded or does it hop out to infinitely. Other colors, how fast do you hop to infinity. Subtly self similar - not too orderly or too random , like good art. Pollock said.. I AM NATURE. Systematic increase in fractal dimension.